Organisers of the FNB Wines2Whales mountain bike event, in partnership with the Pedal Power Association, have handed over R100 000 worth of bicycles and equipment to the Botriver Primary School. According to Wines2Whales director Johan Kriegler, school principal Yusuf Haas is a keen cyclist who is determined to start a cycling club at the school. “The bicycle donation will greatly contribute to the physical development of our learners who will now be exposed to other sporting codes, enhancing their confidence,” said Haas. 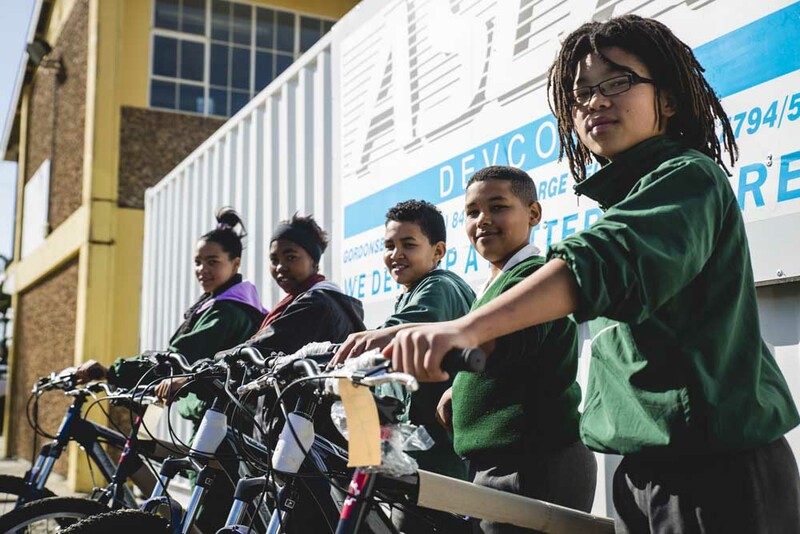 While the school’s mountain bike club would consist of senior learners, he said the single speed bicycles donated would be used to teach younger children the basics of road safety. Botriver Primary, which has more than 700 learners from Grade R to Grade 9, is an annual feature on the race route and hosts the first waterpoint on stage three. The learners will be riding along the route to welcome cyclists to their town and show their appreciation for the bicycles. The event starts in Somerset West, finishes in Hermanus and comprises three separate three-day races. The FNB Wines2Whales Adventure starts on November 1, followed by the Ride from November 4 and the Race from November 8.